It’s that time of year when after countless hours of searching for the best of the best we get to experience the National High School Musical Theatre Awards through the eyes of our very own 2015 DSM HSMTA Best Actor (Chris Clark) and Best Actress (Katelyn Cave) as they spend a whole week preparing to compete in the nationals. 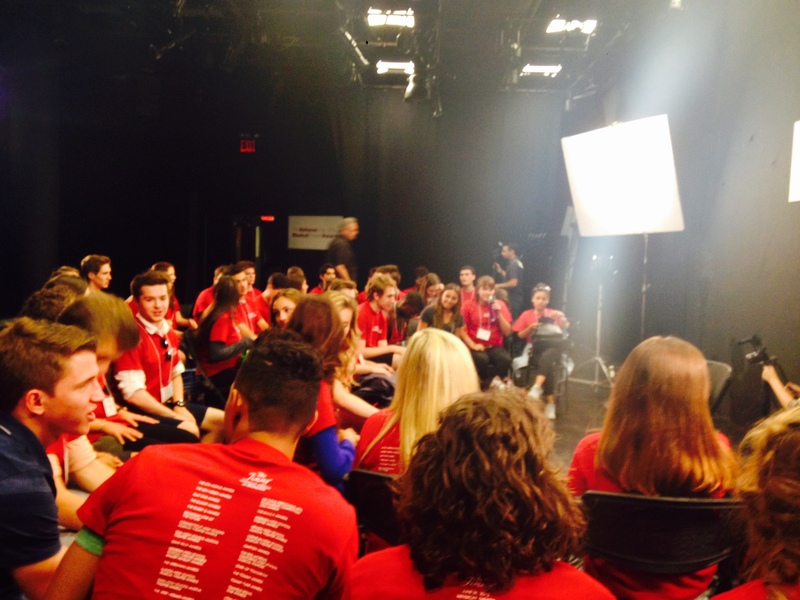 Check out what their experience has been like after arriving yesterday in the Big Apple. Though I miss you dearly, New York has been an experience of a life time! I’m writing you now as I’m on my way to see an American in Paris, my first Broadway show I’ll ever see. The rehearsals are intense but Chris and I are pushing forward and soaking up every bit of knowledge we can. So far we’ve already met a Broadway producer, the president of the Broadway League, the famous composer of Jekyll and Hyde, and there’s bound to be more that we haven’t even noticed in our rehearsals! It’s all been a dream come true and I’m so grateful for the experience thus far. 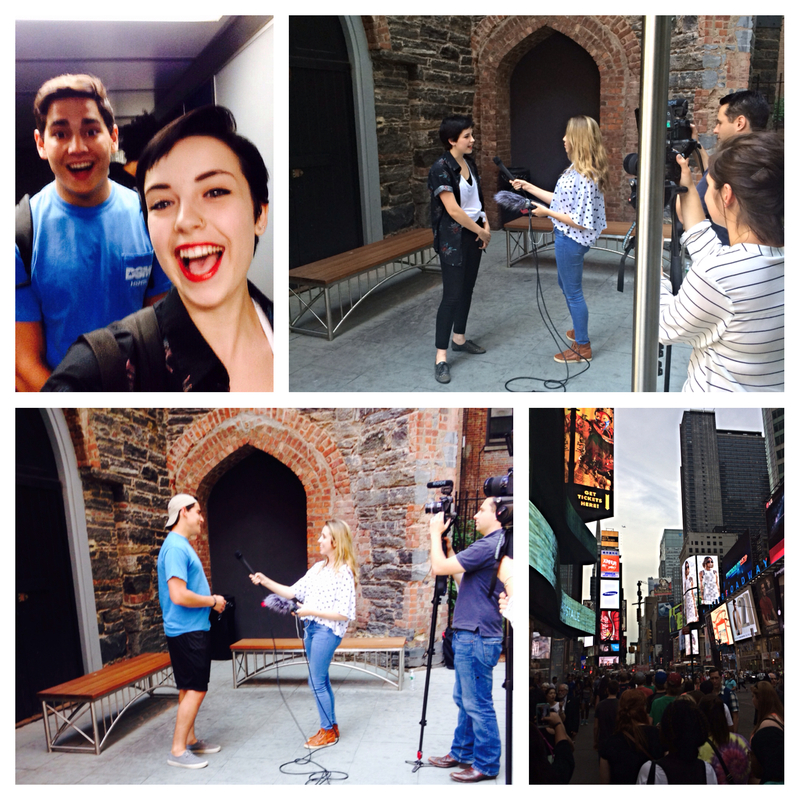 Today was Day 2 in NYC! We learned the opening number vocals last night, and it’s going to sound amazing! There are so many Broadway shows represented in the music and it’s a blast to sing with the other nominees who are sooooo talented! Today was Katelyn and I’s first coaching session with our coach, Michael McElroy. He is so amazing and is so much fun to work with! 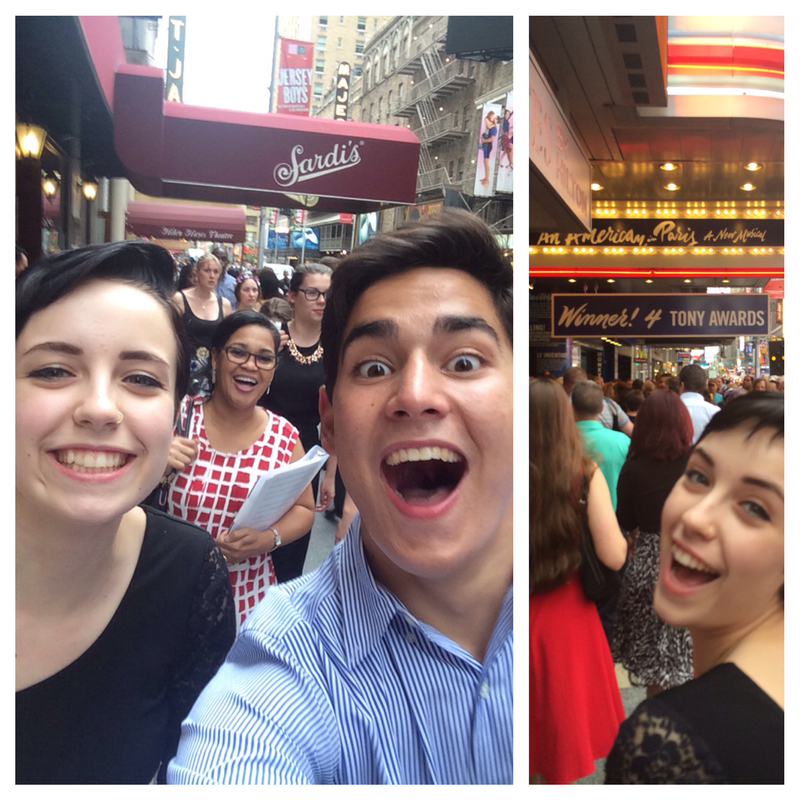 We are on our way to Sardi’s for dinner and then An American in Paris! This is such an amazing experience! 2015 National High School Musical Theatre Awards Best Actor & Best Actress Nominees! A photo from our first meeting last night! Lots of important people up here. 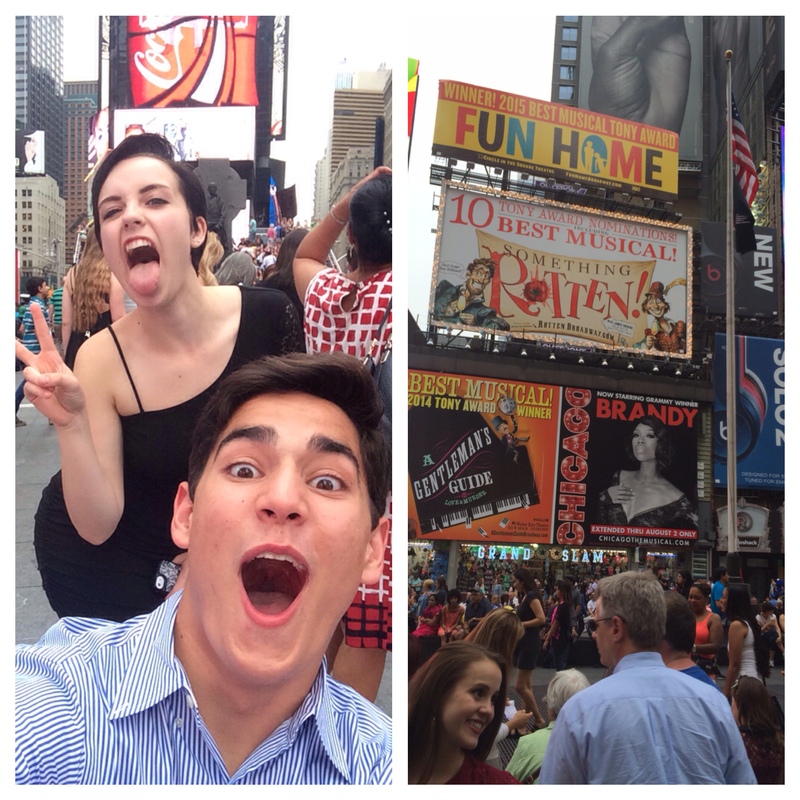 We just met the president of the Broadway League. 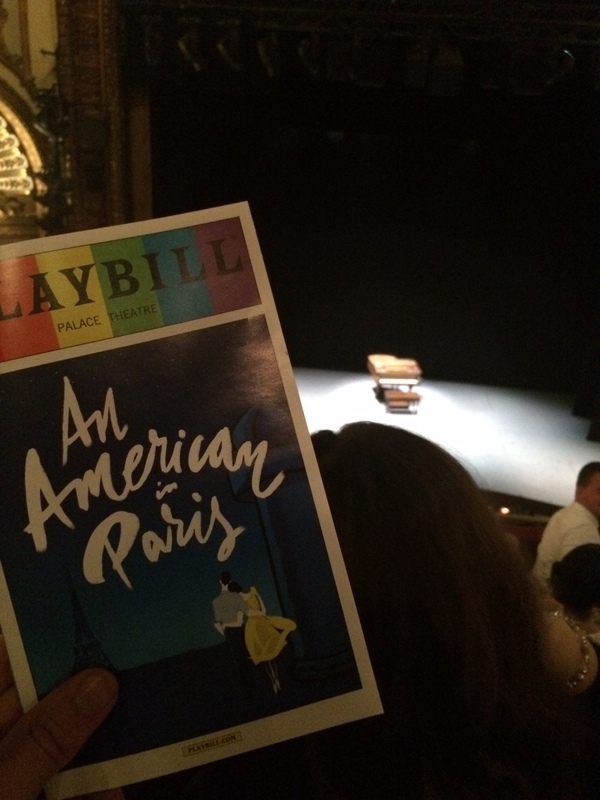 About to watch An American In Paris at the Palace Theatre in NYC! If you are as excited as we are to have these two wonderful up and coming actors representing us in the nationals, make sure to check back and follow our daily blog as Chris and Katelyn make their way to the 2015 NHSMTA competition.